Over an eight-week period this summer, the New Museum presented XFR STN (Transfer Station), an exhibition and media archiving project that provided migration and digital preservation services to anyone with artist-originated material. 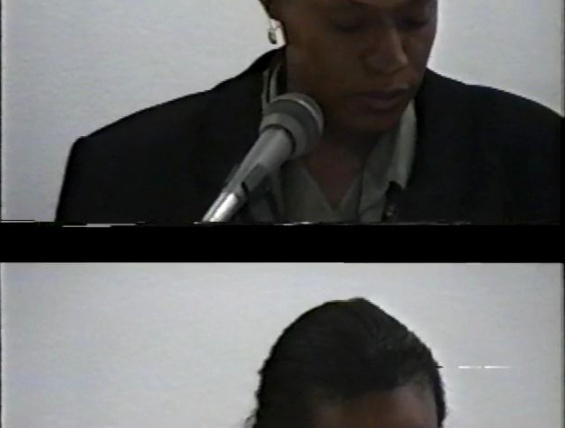 In conjunction with Archives Week, an annual event aimed at highlighting the diverse array of archival materials available in the Metropolitan New York City region, “XFR STN” Technicians Kristin MacDonough and Rebecca Fraimow have organized a screening of selected clips from video material that was digitized during the course of the exhibition, including material from the New Museum’s own archive. Colab members, artists Andrea Callard and Coleen Fitzgibbon, and New Museum Digital Archivist Tara Hart will also be on hand to discuss their experiences during the project. Discussions with presenters and the audience will aim to consider the roles and relationships of creators, archivists, and preservationists, the methodologies and lessons learned during the course of the project, and future steps for artists and institutions.